Only 80 days left ! This video feature a countdown of 80days (so up to 8 march or something). 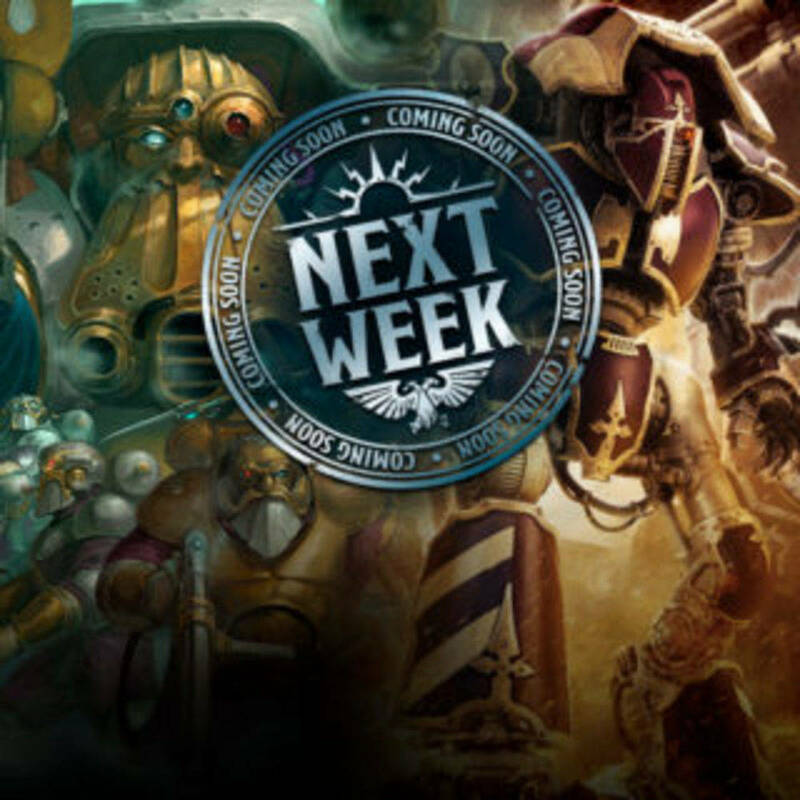 Most obvious is Abby coming to Vigilus. 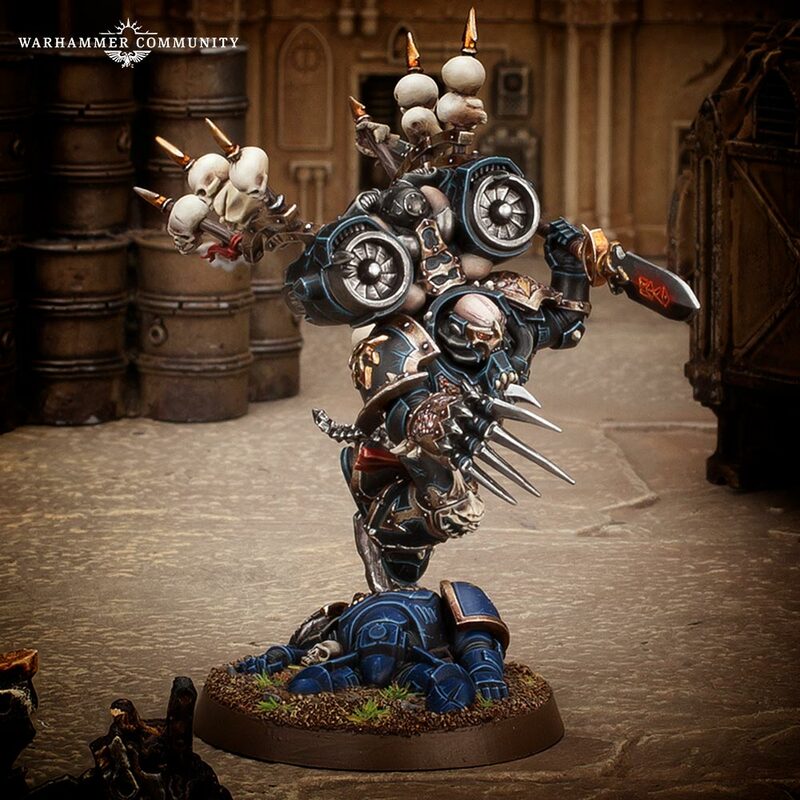 I guess if Calgar was remade and is in charge on Vigilus, Abaddon must be part of it. 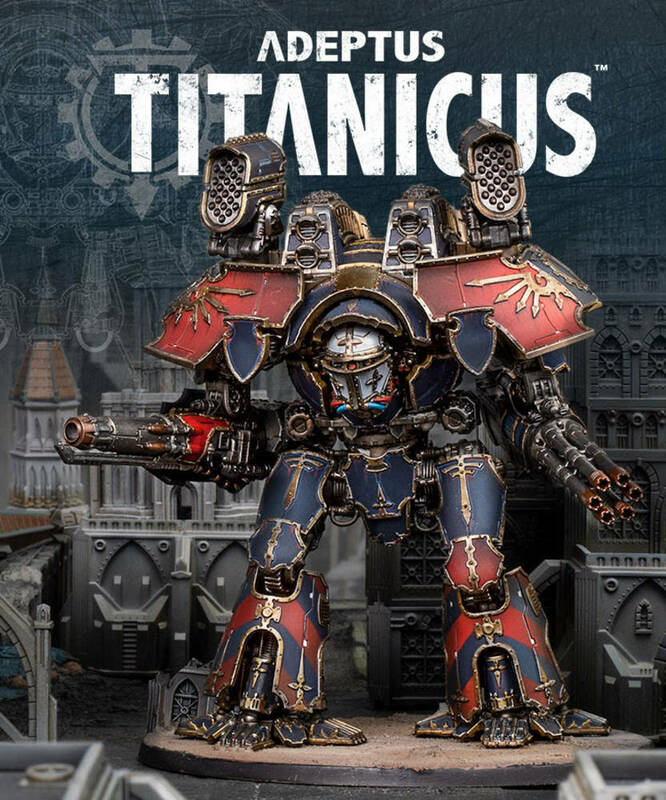 Hyped for a black legion codex ? 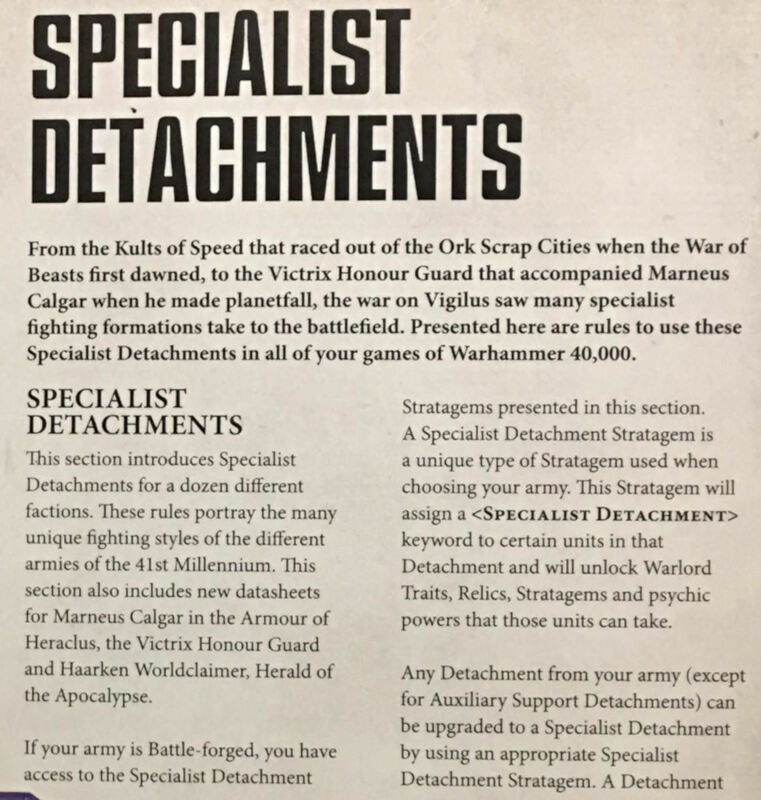 Details and review of the specialist Detachment from Vigilus Defiant. The rules for using a specialist detachment are on these 2 photos. 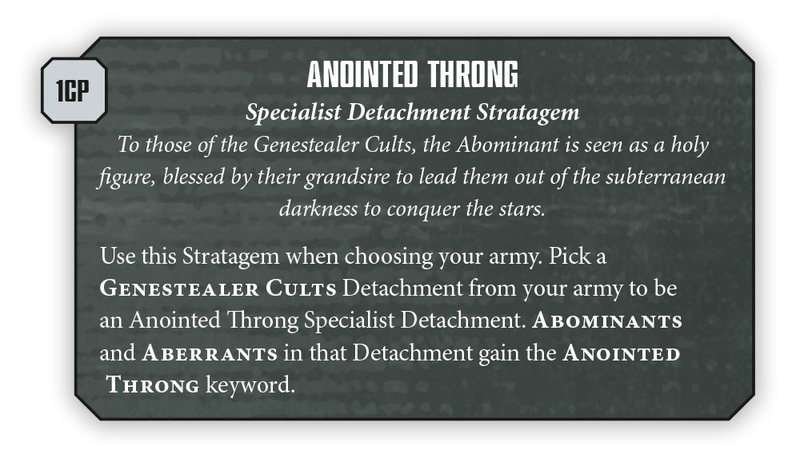 The stratagem allow you to take 2 warlord trait, one for the general and one for a character in the Detachment. This one is about the Gulliman Crusade and primaris getting veteran ! Liberators : 1cp hit roll of 6 in melee grant 2 hit. Bolt rifle become rapid fire 2 for one phase. Stalker become sniper weapon and deal mortal on 6+ to wound. I find this Detachment quite strong and fix a lot of problem intercessor have. Captain, ancient, Vanguard, Honour guard, and sternguard are affected. Once per battle reroll wound roll in melee made by victrix in 6" of the warlord. Breaking siege IF style ! Affect : Captains, Centurions, Dread, Vindicators. Eyes : reroll 1 for shooting for Siege Breaker within 6"
Demolition : deal damage against model inside a destroyed building. Liberation of Rynn's was hard so they want to help other ! Parangons of Dorn : 1cp after being shooted at you can shoot as it was your shooting phase. High marshall Helbrecht, Emperors champ, Cpatains, Company champ, Veteran. Holy Grenade, roll 1d6 every 10 model in the target unit on a 2+ = 1d3 mortal. Fnp 5+ for one unit until end of round. Monster Slayer of Caliban : s+2 ap-3 d3 damage +1to wound monster and vehicle. Swift strike : 2cp Move after fighting. Signal the attack : +1 to hit if you already wounded the target this phase. affect : Battle leader, blood claw, reivers. Power axe : D3 mortal dmg on unmodified 6 to hit. Charged on 3d6 keep 2 best if you are within 12" of a Stalker pack unit that succeed a charge. Affect : Tech priest DOminus, Enginseers, Cyber datasmiths, Kastelan Robots. Change Battle Protocol at start of each movement phase. Kastelan units with Aegis Protocol activated count heavy weapons as assault weapons. 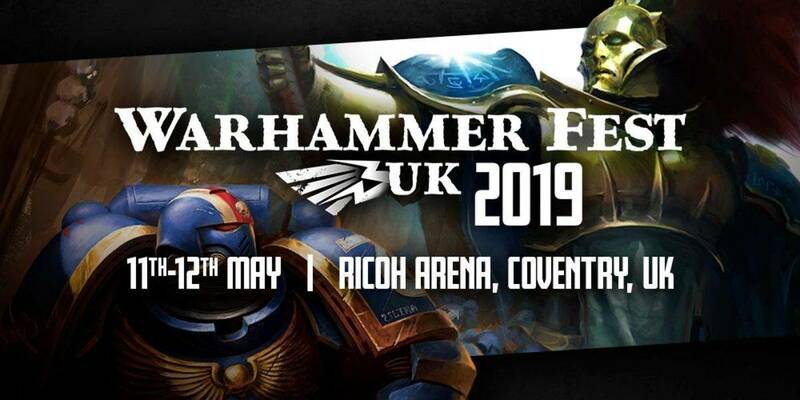 Tech priest DOminus, Enginseers, Servitors, Destroyers, Breachers. Rez or heal a Kataphron by saccing a servitors. +1 to charge roll if within 6" when the roll is made. When a model is slain in target unit you can pile in and attack ! Mad Max Tentacle Road ! Affect :skyrunners : Autarch, farseer, warlock, conclave , windriders, Vypers. Units within 6 can fallback and charge. 3cp Pick a farseer, units within 6" gain -1 rend for the shooting phase. Wraith constructs reroll charge within 6"
Warp spawn Bane, Damage2 , wound on 2+ ignore invul save from daemons and psycher. Charge Value 6 , pick a wraith construct unit that gain cover. +1 A for a wraith construct. 2cp : Spirit seer give his 4++ to a wraith construct unit until start of the next turn. Lasgun wannabe blood angel ! Warlord can issue order from inside a vehicle and count being 3" from a Vox. 3++ save but stop working on first fail. Rapid redeploy : Disembark one unit at the end of the move phase. Orbital tracker : One unit per turn ignore cover. Suppressive fire : Can't shoot this phase but one ennemy unit can't overwatch and halves move. Pounding Barrage : Select one unit from this detachment, Shoot twice with one weapon type. affect all sort of troopers and their commander. 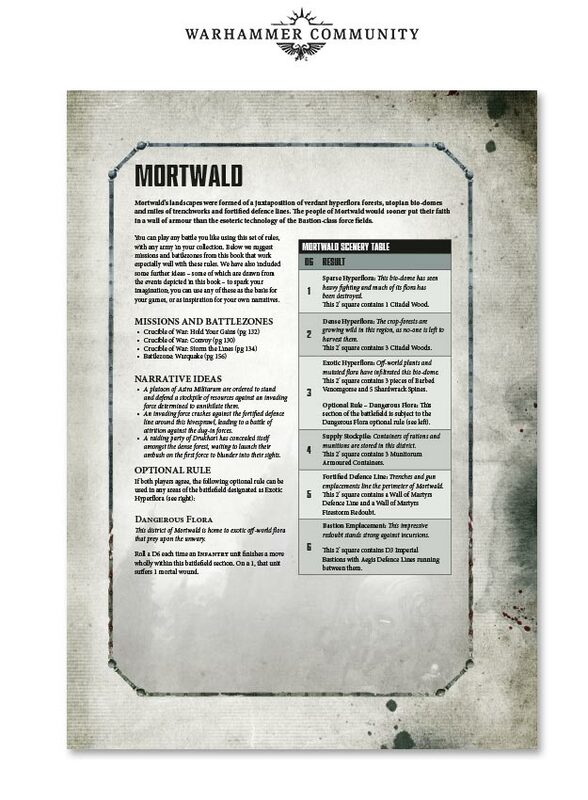 Roll 2 dice and pick lowest for LD test, if bearer die one unit within 6" get +1A and auto pass moral. Model slain from target unit can pile in and fight before being removed. Priest that make a charge move grant +1 charge roll within 12"
At last Tank spam ! Reroll overwatch for warlord and within 6"
Advance : Shoot twice the turret no matter of fast he moved. 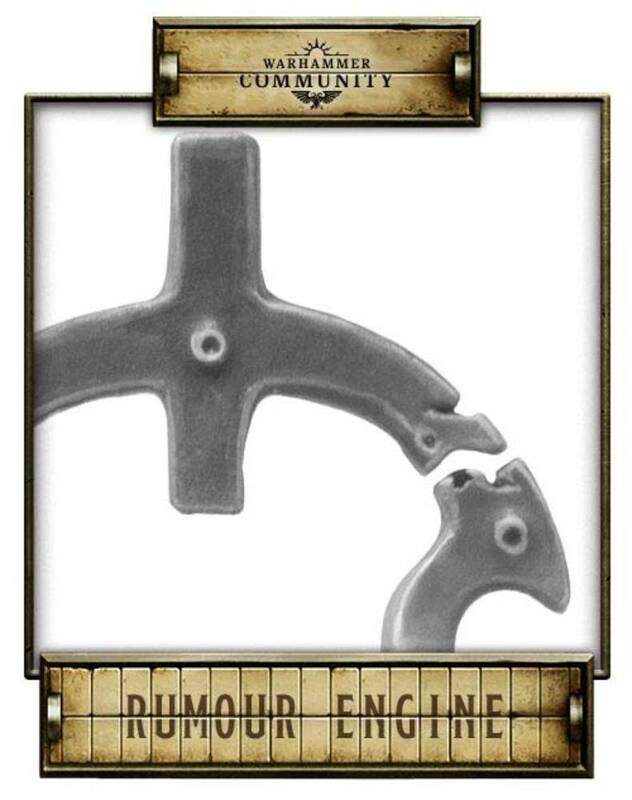 Steel Phalanx : Mortal wound on a tank charge. 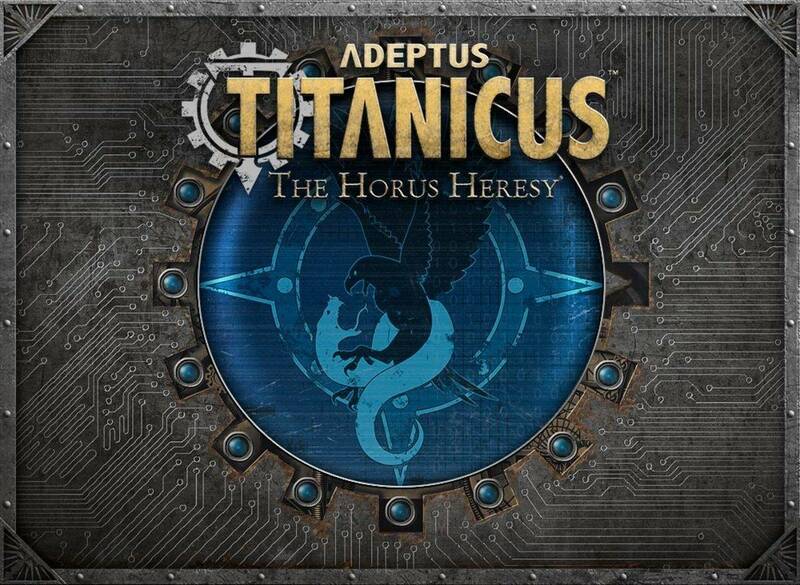 Affect : Tempestor : Primes, scions, Command squads, valkyries. +1 to hit with ranged weapon if Disembark from Valk and within 6" of warlord. Precision Drop : Safe Grave chute insertion. Affect one Stompa and he Become a Character ! Auto pass morale within 12"
Kustom Ammo : Pick an unit, shoot twice with all his weapons. Pick one enemy unit, re-roll 1 against it during the shooting phase. Double range of the weapons on 1 Battlewagon. Loads of specific detachement, some are very good other are trash tier. I still wonder why we need these formation ? -Grant new stratagem, relic, Warlord Trait. One other gratting reroll 1 on wound roll for Aberrant in a certain range. Nothing incredible but when you are wielding a sledgehammer it's good to reroll those pesky fumble !! On specialist Detachement is nothing more nothing less. Not too heavy on the extra rules and nothing Crazy. I am not sure but i do hope we can get some Stratagem cards for these. so 2+ 4++, only take 50% of wounds, chapter master , and +2 cp. Cheap at only 2x custom boosta Blasta ! A book made of Gold ? Someone shared the VD price found on the White dwarf, and it's quite expensive. I wasn't expecting this ! 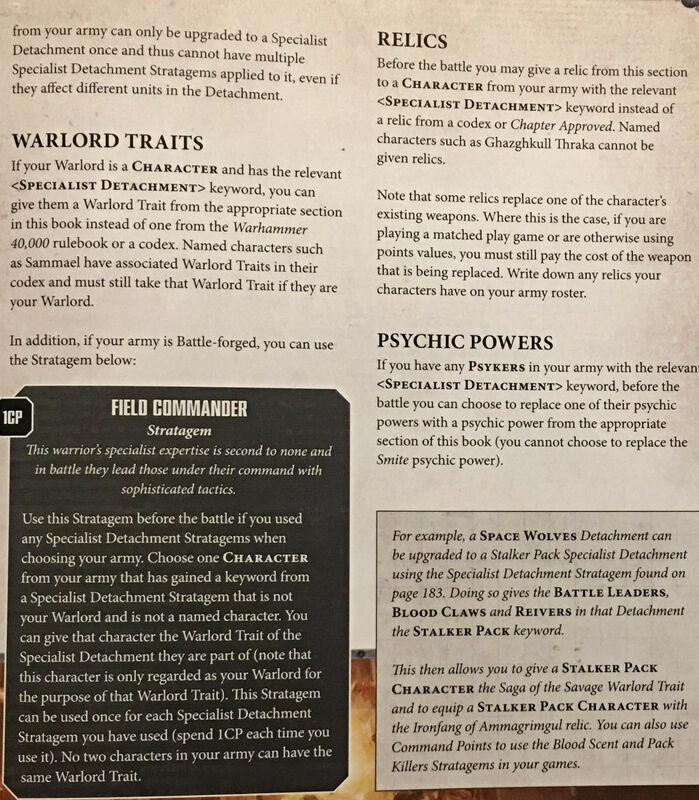 With Vigilus Defiant, you’ll be able to play through your own War of Beasts, a sprawling 3-phase narrative campaign designed to accommodate 4-16 players. 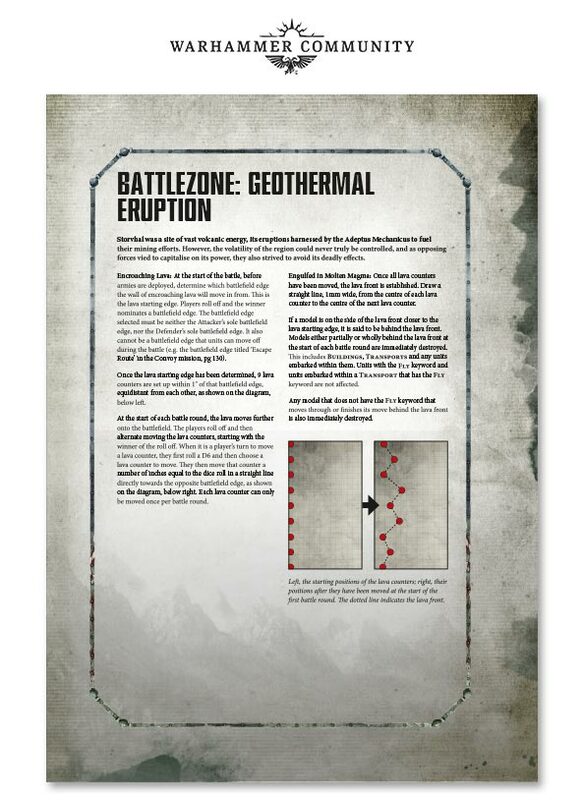 12 missions bring the conflict to life and offer new challenges that, while specific to the battles on Vigilus, could quite easily be modified to showcase your own narratives. You’ll be able to keep your gaming group or club busy for many weeks. Ps : The spear is a ranged weapon only ! Video on calgar and Harkeen. 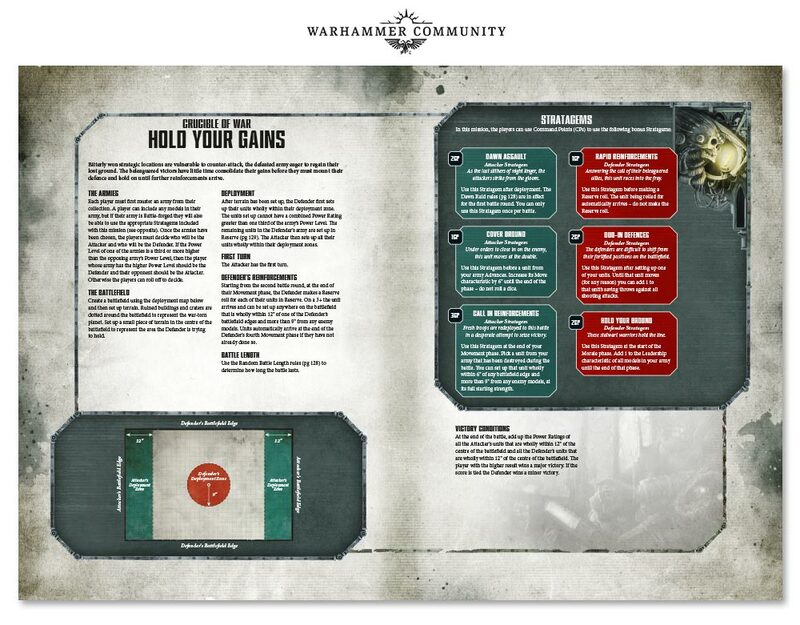 Stats for everyone in the campaigns will be in Vigilus book.